The Northern Health Insurance Company of New York is owned by the Zurich American Insurance Company, which sells many different types of insurance products. Because the Zurich American Insurance Company is the underwriter for all Northern Health Insurance Company of New York products, this company will be reviewed. Get health insurance quotes by typing in your zip code! The Zurich American Insurance Company is based in Switzerland and originally started offering insurance products in the US at the turn of the 20th century. Today, Zurich has business operations in Europe, North and South America and in various parts of Africa. The only phone number listed on the Zurich American Insurance Company is an insurance claims hotline. However, it is possible to get in contact with other departments by calling 1-800-987-3373.The email address listed for the Zurich American Insurance Company is [email protected]. Consumers can also get in contact with this insurance provider by filling out the online contact form. Both insurance products and risk analysis services are offered by the Zurich American Insurance Company. Larger companies can benefit financially by purchasing insurance products that will help them to reduce their exposure to risks, such as accidental death and dismemberment coverage. Smaller businesses and individuals that need to buy insurance for their contractors can also get supplemental health insurance products from the Zurich American Insurance Company. Some of the insurance products sold by the Zurich American Insurance Company are limited to specific regions because of regulations. Although the Zurich American Insurance Company and its subsidiaries are licensed to sell insurance in the continental US, disability and accidental death coverage is only available in New York and New Jersey at this time. Most applicants are hired after they submit their resumes and fill out applications on the careers section of the Zurich American Insurance Company website. All open positions are listed and updated as they become available. Students that want to work in the insurance industry can get their start with the Zurich American Insurance Company by participating in one of their many internships. Only a small portion of the students that apply will actually be accepted, however, the Zurich American Insurance Company has internships in many states. AM Best has given the Zurich American Insurance Company an A+ rating as of November of 2010. The Texas Department of Insurance has recorded 59 complaints against the Zurich American Insurance Company over the last three years. Online reviews from current and past employees praise Zurich as a good employment prospect for college students. Most complaints about the Zurich American Insurance Company are centered on workers compensation claims that have been denied. 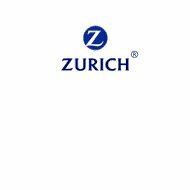 It is not clear if the claims were disapproved because of errors on Zurich’s part, or if the claims were submitted improperly. Because the Zurich American Insurance Company has not been severely disciplined by any state insurance commissioner, it appears that the few complaints listed are isolated incidents. Since the Zurich American Insurance Company does not sell health insurance products to individuals, the only way to get a quote is to speak to an insurance agent. Consumers can call the customer service phone number for Zurich or get in contact with an independent insurance agent that is authorized to sell Zurich American Insurance Company policies. Companies that have 100 or more employees will need to fill out a detailed questionnaire that includes the number of insurance claims that have been submitted in the last few years. Depending on the risk factors, number of employees covered and the industry that the business requesting a quote operates in, the Zurich American Insurance Company will accept or decline offering a policy. Policyholders have the ability to confer with their insurance agents in order to make changes, increase coverage and pay their premiums. Check out these online health insurance quotes by typing your zip code now!